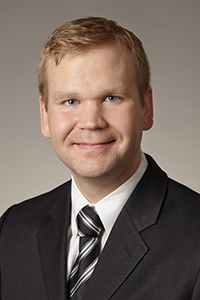 As an associate at Davis Grimm Payne & Marra, Mr. Laiho represents employers on a full range of labor and employment law issues. Mr. Laiho assists management in defending against employee and union allegations of discrimination, harassment, wrongful termination, unilateral changes to terms and conditions of employment, defamation, constructive discharge and retaliation. He has represented employers before the National Labor Relations Board and various state superior courts and administrative agencies. Mr. Laiho also provides day-to-day advice to clients with the goal of reducing the risks of expensive legal disputes and litigation. He has experience advising employers in matters related to the Americans with Disabilities Act (ADA), the Washington Law Against Discrimination (WLAD), the Worker Adjustment and Retraining Notification Act (WARN), the Age Discrimination in Employment Act (ADEA) and the defensible termination of employees including those covered by collective bargaining agreements. Prior to joining Davis Grimm Payne & Marra, Mr. Laiho was a litigator at the Seattle firm Patterson Buchanan Fobes & Leitch. While there, he gained experience in labor and employment matters in addition to a wide variety of legal disputes and issues involving: breach of contract, estate planning, negligent infliction of emotional distress, breach of fiduciary duties, business organization, negligent hiring, negligent retention and catastrophic personal injury. Mr. Laiho graduated from the University of Oregon in 2009 where he served on the Pro Bono Executive Board.